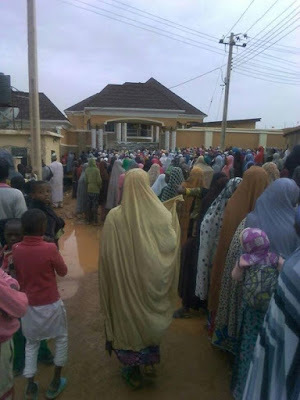 Alot of people were spotted at Ahmed Musa’s home in Jos, where they had gone for their Ramadan packages. It is said that the Leicester City FC Star, decided to give people food stuffs for Ramadan and a whole lot of residents came out. God bless his good heart!